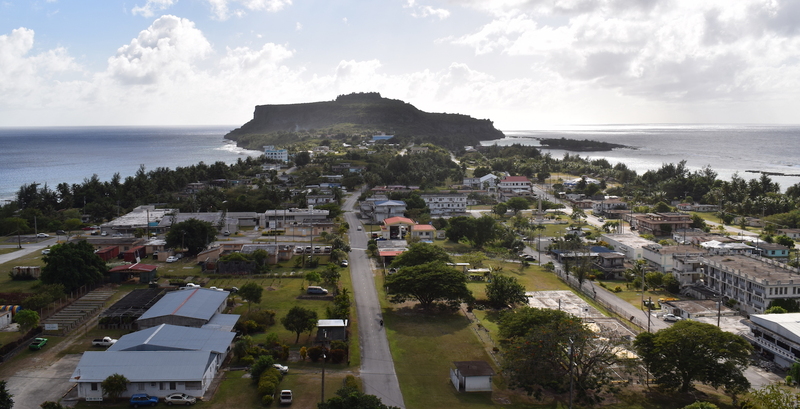 Even among Micronesian countries little known in the West, the Commonwealth of the Northern Mariana Islands particularly slips under the radar. Yet it has several strong claims to our attention. It is the closest land to the Mariana Trench, the deepest place on earth. It holds the Guinness Book of Records title for most equitable temperature, stuck at a lovely 27°C all year round. And it offers tourists both extremes of beach life, from quiet rural isolation through to bustling urban hotels with swanky casinos. It also had a tragic role in the Second World War, where Japanese soldiers committed suicide with their families or hid out well into the 1970s rather than face capture, and where two American planes were loaded with atomic bombs and sent off to drop them on Hiroshima and Nagasaki. 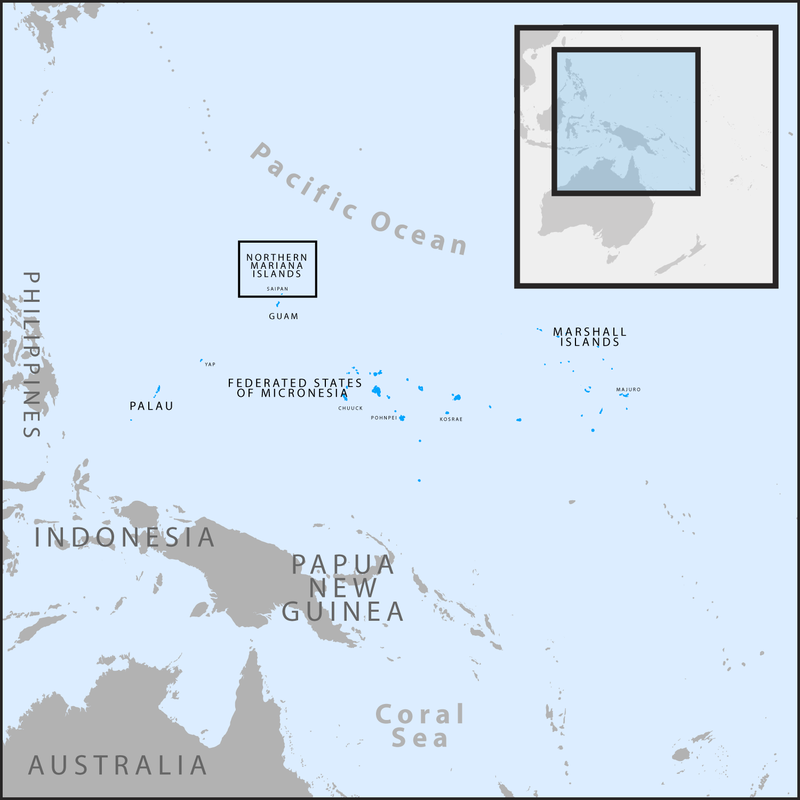 The Mariana Islands of the indigenous Chamorro people were split in 1898 when the Spanish lost southerly Guam to the US on the one hand, and the other fourteen islands, which became the Northern territory, to Germany on the other. These were then Japanese from 1919 to 1944, since when they have been American. Referendums in 1958, 1961, 1963 and 1969 all voted for reunification with Guam, but after this was finally rejected by 58% of Guamanians in their own referendum in 1969, mostly over a fear of increased taxation, the Northern Mariana Islands established itself as a Commonwealth in political union with the US. It has no independent sovereignty, taking American jurisdiction without any electoral input at all, but with slightly more self-government than its bigger neighbour to the south where the US bases its airforce and navy. Only three of the islands are inhabited, all near the bottom of the chain as it runs in a north-south crescent above Guam at the western end of the Pacific. They feel remarkably different to each other. Rota is a very quiet, pristine and friendly place that attracts almost no visitors; Saipan is a long-standing magnet for Japanese and more recently also Chinese tourists looking for neon fun amid a slice of Americana; and Tinian has been left as a memorial to the horrors of World War Two. But there is a tangible pride in their bond that is not limited to the constant use of the phrase hafa adai, as in Guam, to welcome strangers. Running parallel about 200 kilometres to the east is the Mariana Trench, 2,500km long, 69km wide and 11,000m down at its very deepest point, known as Challenger Deep. If Everest were in the Trench, it would be 1.6km under water. And typhoons are known to pass this way between August and December. Tucked away in a pocket, the main entry is of course from Guam, and the best way to get about them is on the cute light aircraft of Star Marianas Air. 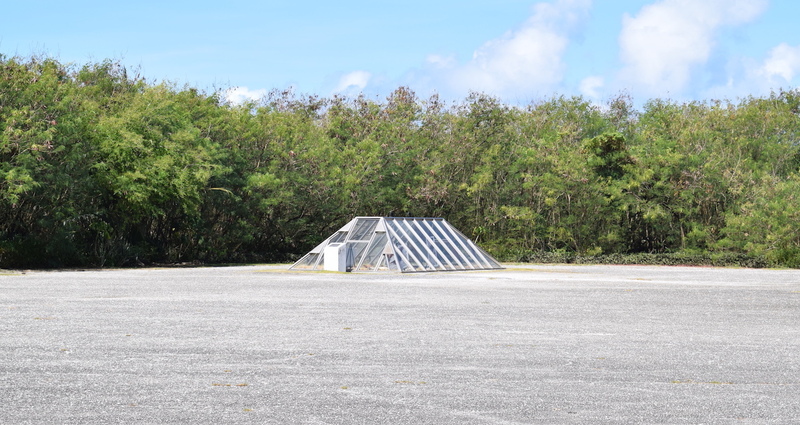 At Guam airport you will find the Light Aircraft Commuter Facility hidden at the rear near the United Airlines cargo depot. Flying north, some planes bounce at Rota after 30 minutes before carrying on to Saipan 45 minutes farther. Sit on the left for the best views all the way along. On our plane of seven, only we got off at Rota and it turned out we were more or less the only tourists on the whole island. There are no visible taxis in Rota, so the only way to get around to reach what attractions there are – quiet beaches, excellent bird-watching, a bit of diving or a little golf – is to hire a car. Budget and the local firm Islander both have rental booths at the tiny airport. Emblazoned on the wall of the terminal by the runway is Rota’s claim to be “the world’s friendliest island” and people here obviously feel they want to live up to this billing to such a degree it feels a bit weird. Literally every time you pass a car, though there are not so many, the driver will wind down their window and give you an aluf luta or “Rota wave”. They even have weeks officially dedicated to the importance of aluf luta every year. And road signs declaring “Rota loves you”. David Lynch would have a field day. Turn right out of the airport and left onto the northern shore. Here there is a recently renovated road running alongside a stretch of narrow sandy beaches. This entire coast is lined with palms facing the parallel line of coral reef, 50m out to sea, that traps aqua marine waters by the sand. You can borrow one of any number of barbecue pits set out next to picnic tables under thatched shelters. The small capital is Songsong that sits on the western edge of the island, near a picturesque rocky cliff. There is a pretty view from a hill behind town. 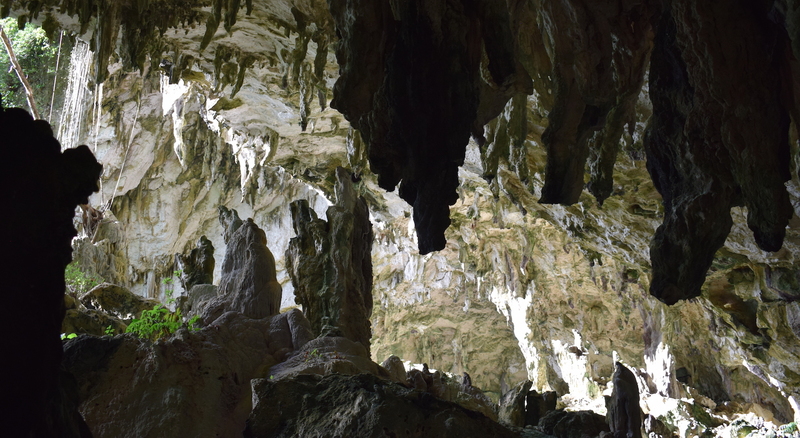 Near this lookout is a small cave complex with impressive stalactites and stalagmites. In Songsong there are two tidy if apparently deserted hotels with good views over the north bay, the Coral Garden and the Bayview. There are plenty of American flags flown from properties across town. On the south coast, around Sasanhaya Bay, there is a gorgeous old road virtually tunnelled for several kilometres by glorious overgrown trees with hanging vines. As you reach the rocky cliff wall with sheer drops to the sea, the road seems to peter out and gradually disappear into a dirt track, but after a slow ride of pretty vistas it comes back as tarmac. Back near the airport in the centre of the island is the Rota Resort & Country Club. It may well be by far the best place on the island, very proud of its 18 hole golf course, but it is run down and long past its best; the swim-up bar in the pool is in dire need of a lick of paint – and staff – and guests – and the architects forgot to put balconies on the rooms that face a stunning view across the sea to sunsets in the west. Like Russian Matryoshka dolls, inside Oahu is Guam and inside Guam is Saipan, the most magical of the three main urban beach resort islands in the northern hemisphere of the Pacific Ocean. 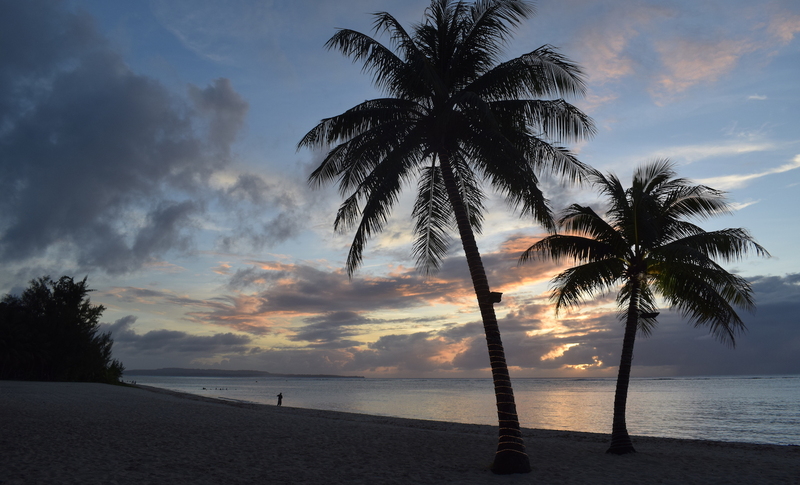 The polar opposite of Rota, there is lots to do on a tour around the island and although Garapan, the Tumon Bay or Waikiki Beach of Saipan, is somewhere between seen-better-days and not-quite-finished, this is a high energy, fun place to be. Not so corporate America as Guam, Saipan attracts smart young Asians who zoom around in hired garish candy-coloured Mustangs. The airport is in the south (facing Tinian just 5km away), and although it is small it is buzzing with tiny planes coming and going every few minutes. All the main international as well as a lot of local car rental companies have offices here and in town too. Garapan is half way up the west coast and the main drag has several high rise hotels (including the Hyatt and the Fiesta), a clutch of ABC stores (for all your supplies) and a T Galleria (with high end stores) as well as lots of “I heart Saipan” merch, all creating that authentic American vacation flavour. A decent alternative to the big hotels here is the Serenti, just before the American Memorial Park. Here too is, or will be, the gaudy Imperial Pacific. 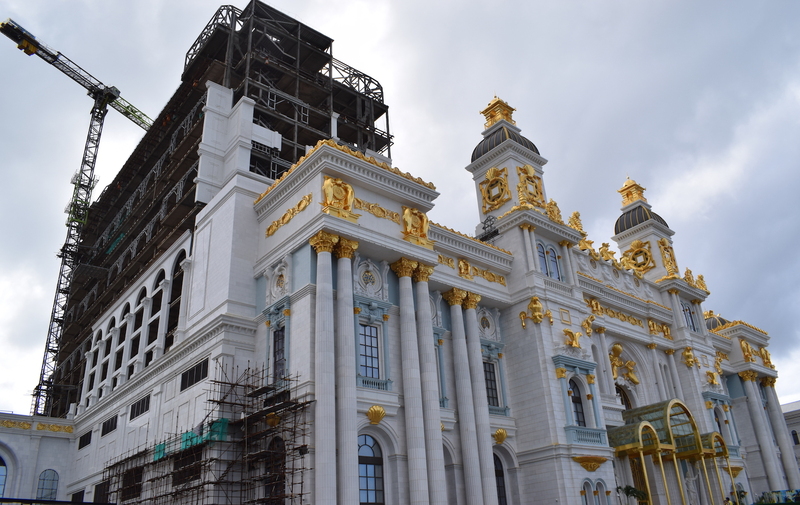 This Chinese mega hotel and casino, smeared with gold leaf inside and out, started trading in 2017 although it is nowhere near finished and you can see the builders’ cranes from a dozen miles away so enormous does it stand. It is already vastly more profitable than any casinos in Macau, fuelling rumours of money laundering and other wrongdoing by the owners. But the casino is great fun and on a pumped up Saturday night we were two of just a handful of non-Asians crowding noisily at the tables (just about the only public place in the country where smoking is allowed, so the owners are certainly allowed to play by some different rules at least). The main urban sandy strip is on the bottom half of the western side of the island, 3km down the Southern Beach Road. There is a cycling/jogging track all the way. There are a few low rise hotels and bars, starting at the cheap and cheerful Oleai Beach Bar & Grill that has a lovely beach-front terrace down to the Surf Club with its immaculate beach studded with a pair of photogenic palm trees. A good place to stay at the beach is the Surf Rider Resort. Heading north from Garapan up the west coast are two big all-inclusives: the Aqua Resort Club and the Kensington Hotel. They face Pau Pau Beach, lined with palms, picnic tables and BBQ pits (all full of activity on the Sunday lunchtime we were there), with the aqua blue sea protected by the line of reef where the waves break. On the northern corner of the island there are a cluster of interesting World War Two sites and natural geological features, all well signposted. The most striking and poignant of these is Bonzai Cliff, ragged rocks down to the crashing waves with a row of shrines at the top. This is where Japanese military personnel and their families lined up to kill each other – the youngest child was pushed by their next oldest sibling and so on, until the eldest was pushed by their mother, who was pushed by her husband, who then jumped off – all to avoid the shame of being captured by American forces. The final footnote of interest is that this was the scene of the “Saipan incident” when the Republic of Ireland football team imploded just before the 2002 World Cup in Japan and South Korea; manager Mick McCarthy famously sent home captain Roy Keane for being a bit of a nuisance. 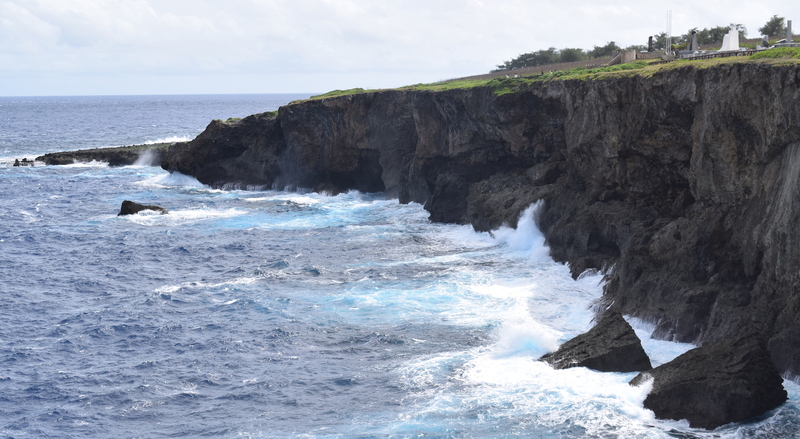 It is just 9 minutes from Saipan across to Tinian in a four-seater plane. You cannot pre-book a ticket; you just turn up, pay and fly straight away. There are Avis and Islander rental booths in Tinian’s mini airport. It seems to be the only way to get around. Take a left out of the car park onto Broadway (US servicemen named the few streets here after Manhattan icons) and head north to the Second World War military runways which you can see clearly from the plane over. Here at North Field there are lots of interesting remnants of the Japanese occupation from 1919 to 1944, particularly a military HQ exactly like others across the Pacific, notably at Peleliu in Palau, with air raid shelters and so on. But that is not the main reason to come here. After the Japanese were evicted, the Americans hugely expanded the airfield to cover almost 18km of runways and taxiways, sufficient to accommodate massive Boeing B-29 Superfortress Bombers, which made this the largest military airport on earth during World War Two. There are four long runways, all clearly marked so it is easy for you to find your way about. What you are looking for is the atomic bomb assembly area and then the two atomic bomb loading bays. For this is where the Enola Gay and Bockscar bombers took off to carry respectively what were called “Little Boy” and “Fat Man” to obliterate Hiroshima and Nagasaki. There are some memorials to relevant US squadrons here about. But most of all this is a place to remember the hundreds of thousands of innocent people who lost their lives.